When you think of a hospital, what words come to mind? Sterile, white, empty, uncomfortable? You probably don’t picture this. 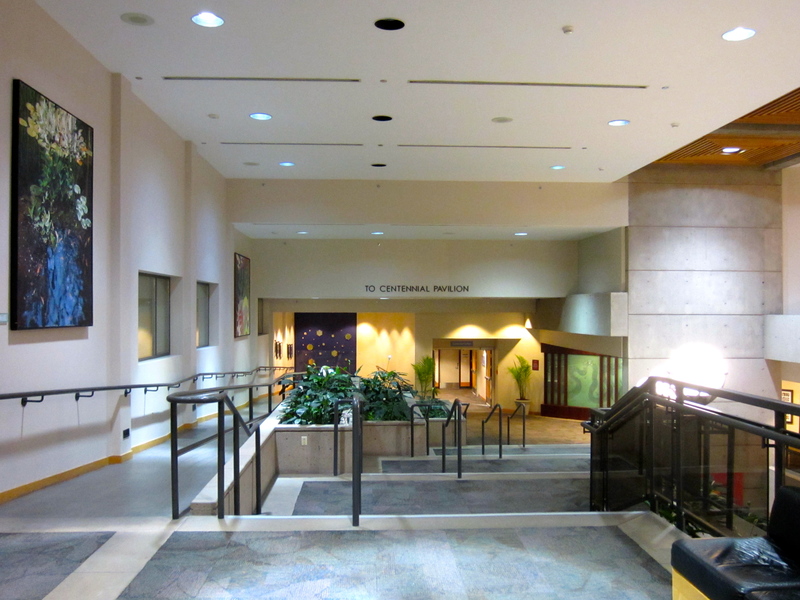 This is the foyer area of Vancouver General Hospital that challenges the stereotype of hospital space. 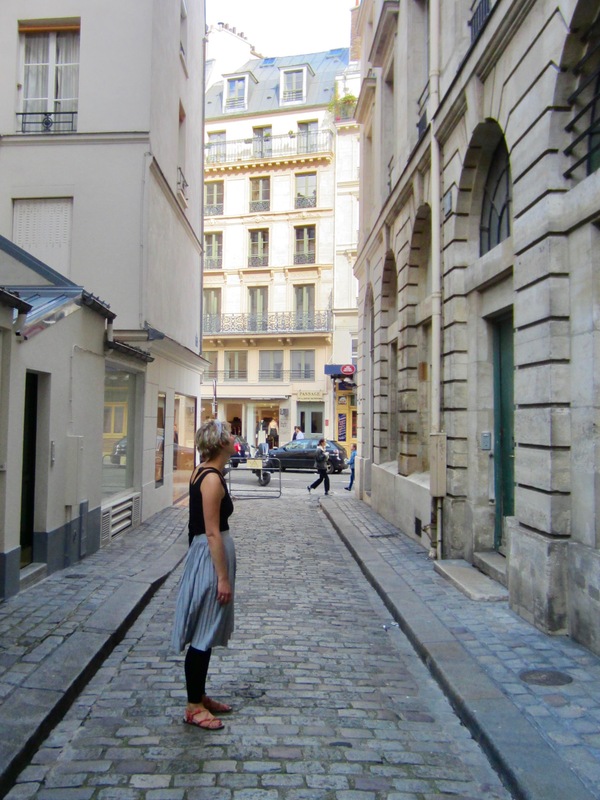 It also speaks to another place in everyday life where art is found outside of a gallery that I mentioned back here. 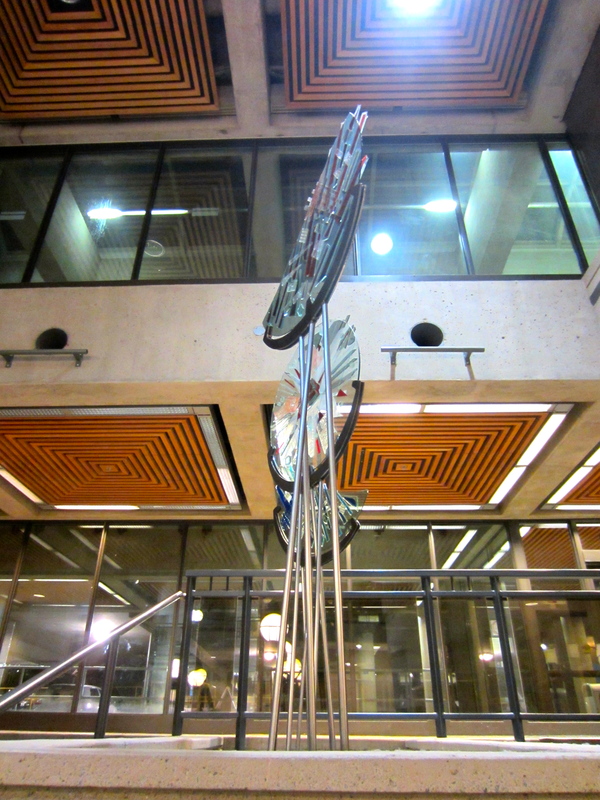 I was invited to attend a public tour VGH offers every Wednesday night, discussing select pieces from the 1200 works in their collection donated by artists, collectors, and even patients or their families. The informative hour-long tour encompassed the aesthetic, practical, philosophical, and anecdotal. 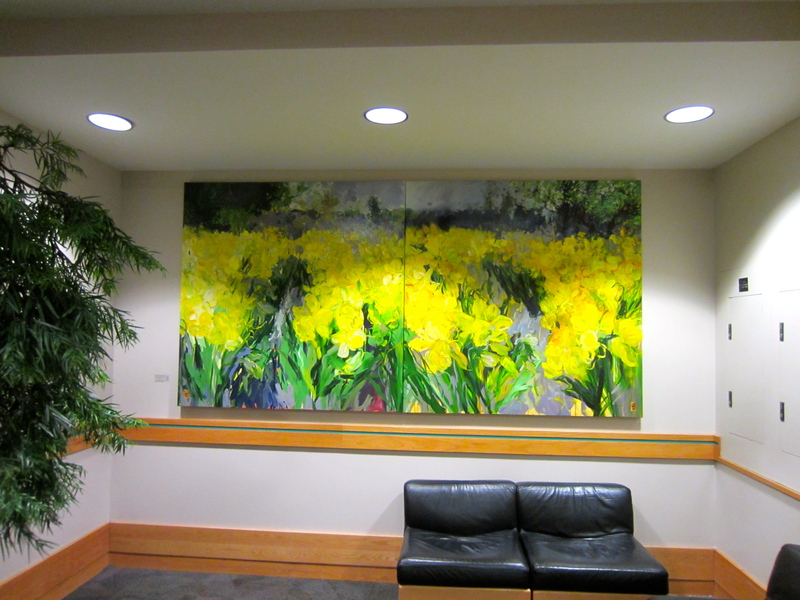 The tour addressed the purpose of art in a hospital space. It’s used as art therapy because art evokes reactions in people that can lead to emotional and even physical healing. Late Vancouver artist Jack Shadbolt (who has a few pieces in the collection) says paintings are always in a state of tension and harmony, and every colour has to exist with another colour for the viewer to make sense of it. For example, blue tends to calm people while red agitates them. VGH even has an “Art Cart” program where patients in palliative care get to choose the art that hangs on the walls in their room. I think this is a great idea, and so does this blogger who shares about her experience as a volunteer on the unit. In addition to psychological responses, increasing studies show a link between art and neuroscience. Our tour guide quoted Nietzsche who said our muscles respond to music/art as well as our hearts. Perhaps this reference was no better demonstrated by her anecdote of how she observed the painting below pause a businessman who was briskly walking through the foyer while talking on his cell phone. Red is usually a faux pas in hospitals, not just because of its “anger” association, but because of its connection to blood. Even though Hill Fire has a lot of red in it, no patients have complained about it. Maybe because there’s something deeper going on that connects with people. Can you spot a yellow and purple caterpillar in the far left panel near the top? By the final panel, the caterpillar has morphed into a butterfly, signifying transformation, change, and hope. Hospitals are places where hope appears, even through fire. Apparently this butterfly is a repeating occurrence in Shadbolt’s works, kind of like searching for Where’s Waldo. 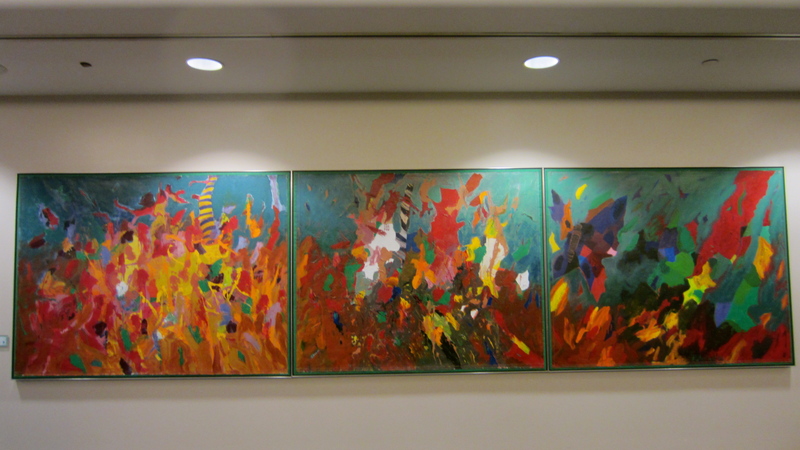 The triptych-style Hill Fire plays off another work in the collection called Triptych. 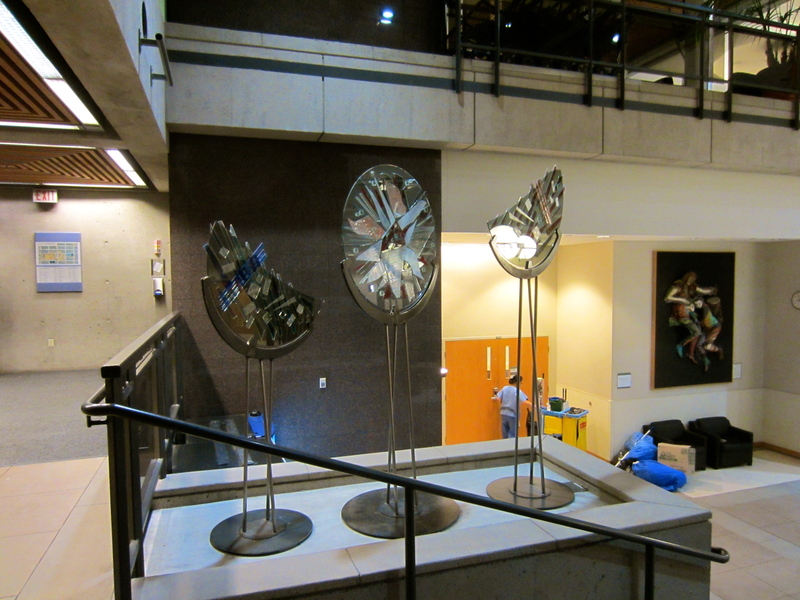 This installation features three glass mosaics balanced on crescent-shaped steel pieces. When the light shines through the hospital windows, the glass sparkles like stained-glass cathedral windows, showing the connection between art and the spiritual. Traditional triptychs are devotional paintings or carvings placed in church altarpieces such as the famous Ghent Altarpiece. According to the plaque, this work was inspired by emotional events in the artist’s life. Fragility and strength are both evident in its combination of transparent glass and solid metal. Shadbolt’s contemporary, Gordon Smith, also has paintings in the collection. 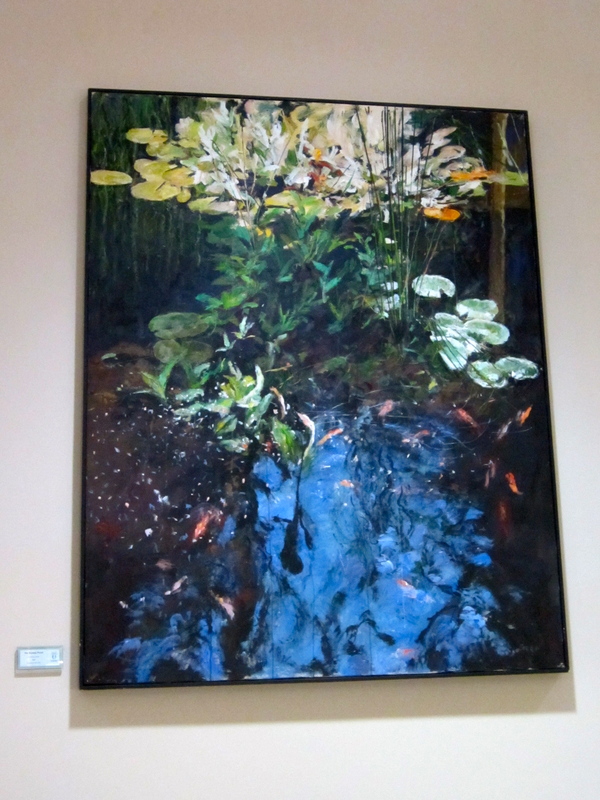 The Byway Pond changes from a more representational image in the top part to an abstract rendering in the bottom half. In some ways, I feel it’s a pictorial representation of the depth Smith talks about when he says, “I am a hundred painters deep.” Each of us is influenced by what and who came before. We have many layers, only some of which are visible. 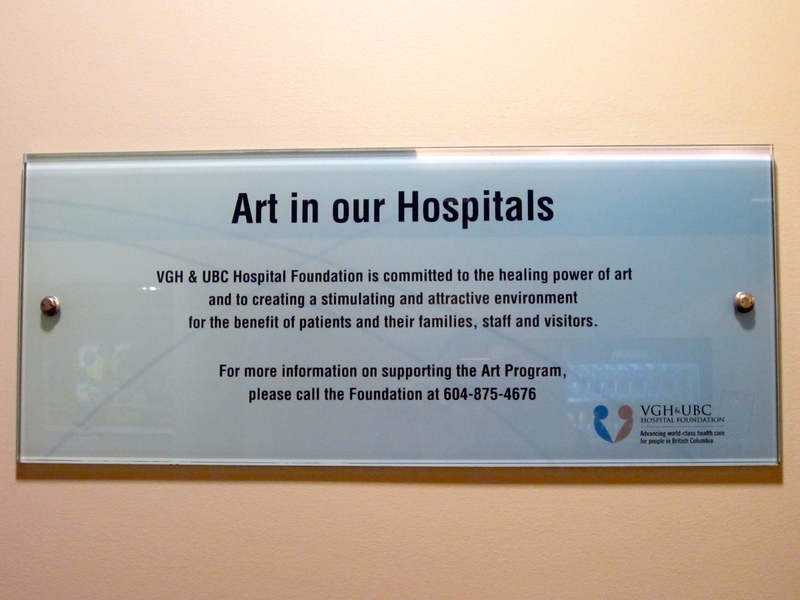 What I appreciate about VGH’s art initiative is that it helps create and unite a community of strangers all struggling with some kind of illness in the same space by offering them a shared atmosphere of potential hope and healing. I think there’s something to be said for the collective power of art. It’s not just background décor but an active participant in shaping the stories of the patients that come in and out of these doors. Yes, some will die but others will fly again, like Shadbolt’s butterfly emerging through the flames. Bent but not broken, damaged but not destroyed. The nature of life. Fragility and strength. Hurt and healing. Endings and beginnings.